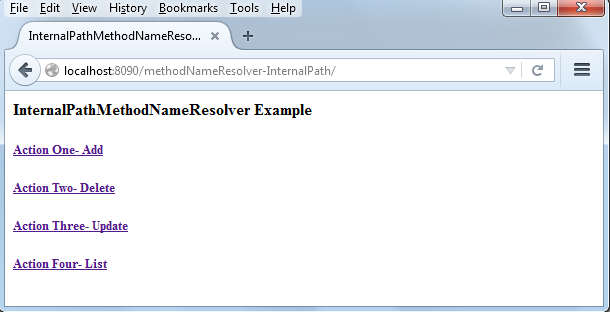 Simple implementation of MethodNameResolver that maps URL to method name. Although this is the default implementation used by the MultiActionController class (because it requires no configuration), it's bit naive for most applications. 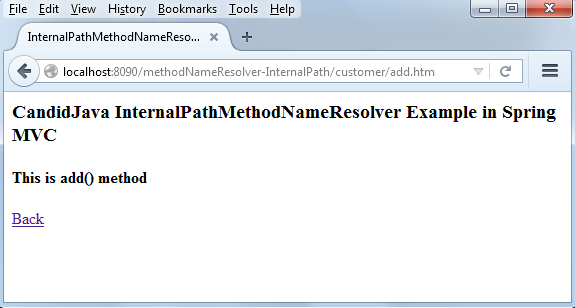 In particular, we don't usually want to tie URL to implementation methods. Maps the resource name after the last slash, ignoring an extension.